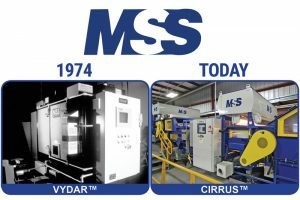 MSS began in 1974 to develop separation processes for ferrous and non-ferrous metals. The initial development began in 1969 at Vanderbilt University in Nashville, TN. The Sorter Project combined the efforts of over 50 scientists and engineers from the University together with recycling experts from industry. Within two years MSS placed the first commercial eddy-current separator, (PULSORT™) for recovery of aluminum containers from municipal waste including an innovative feed system for uniform feeding in a U.S. in operation. Following this installation at the Teledyne National facility in Maryland, MSS placed two more PULSORT™ systems at the Americology facility in Wisconsin. In 1978 MSS placed its first DICUS™ high-intensity magnetic separation process in the secondary titanium-superalloy industry. Since that time, numerous DICUS™ installations have been installed for a variety of separation applications. In 1979 MSS developed the ELPAC™ system which combined sophisticated metal detection with a unique air jet removal process. The ELPAC™ system has been proven successful in a wide variety of separation applications since its initial development. The ELPAC™ system is a featured U.S Office of Industrial Technology invention Success Story. The ELPAC™ has proven successful in the removal of aluminum from cleaned plastic flake. Over 50 ELPAC™ units around the world operate in this application. In 1980 MSS developed a unique processing system for materials recovery from municipal solid waste which did not require shredding, air classification, or bulk screening. The process utilized the Rotary Material Separator, ELPAC™ and PULSORT™ systems combined with a newly developed mechanical drum separator. In 1991 MSS developed the BottleSort® system, an automated system to debale, singulate and sort post consumer plastic containers. This system has the capability to sort a mixed plastic container feed stream into individual polymers and colors, specifically, PVC, colored PET, clear PET, natural HDPE, polypropylene, mixed color HDPE and color-sorted HDPE. The system design included the development of a near-infrared (NIR) sensor for identification of plastic resin types, development of a machine vision system for color identification and the development of an x-ray based sensor for identification of PVC plastic bottles. In 1992 MSS developed the ELKE™, an optical system for separation of ceramic contaminates from glass cullet. In 1993 MSS developed the VYDAR™, the world’s first system for removal of PVC from PET in the flake form. 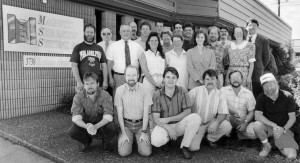 In 1994 MSS developed the Glass ColorSort™ to sort glass cullet by color. In 1995 MSS developed the Binary BottleSort system to sort non-singulated plastic bottles by resin and color type.In 1998 MSS introduced the CartonSort™ and PlasticSort™ optical sorters, both NIR-based sorting systems for identification and separation of plastic containers and beverage cartons from mixed recyclables. In 1999 MSS introduced the world’s first commercially available automated optical paper sorting equipment, the PaperSort™ system. Not only did it feature brand-new LED sensing technology (MultiGrade™) with higher scan rates than anything available on the market at the time, but also patented material handling technology that allows for paper to be sorted at speeds previously not thought possible (up to 1500FPM or 6 meters/second). In 2001 MSS introduced the Aladdin™ optical sorter, an all-in-one NIR and color sorting module for sorting of plastic bottles by type and color from commingled container streams. 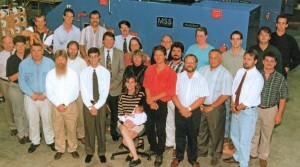 It has been the most successful optical sorter MSS has ever built. It also features the dual-eject option for the first time, which allows the operator to generated 3 output fractions from 1 input fraction. In 2001 MSS introduced the Sapphire™ optical sorter, the successor model of the CartonSort™ and PlasticSort™ separators. In 2002 MSS introduced the FiberSort™ optical sorter, featuring a combined NIR and color sensor to sort brown cardboard (out-throws) and non-fiber items (prohibitives) from mixed paper streams. In 2003 MSS introduced the MetalSort™ induction-based metal detector, the successor of the ELPAC™ metal sorting technology that allows for the identification and separation of ferrous, non-ferrous and stainless steel metals. In 2005 MSS introduced the MultiWave™ optical sorter, an LED-based NIR and color sensing technology for the sorting of cardboard (brown and printed) as well as non-fiber contaminants from newspaper and mixed paper streams. Besides the standard NIR and color sensors, the MultiWave™ also included a world’s first gloss and lignin sensor. In 2006 MSS introduced the e-Sort™, an optical sorter specifically designed to sort electronic scrap into the different categories (printed circuit boards, copper, non-ferrous metals, ABS, HIPS, PC, PC-ABS, etc.). In 2010 MSS introduced the L-VIS™ optical sorter, a high-resolution color sorter for small particles, based on camera identification technology. The applications range from shredded electronics scrap to plastic flakes, pellets, and granules. In 2016, the L-VIS™ is reintroduced with ColorMask™ and WireHawk™ technologies. In 2017, the next generation of CIRRUS® optical sorting technology is released: FiberMax™, PlasticMax™, PurePlasticMax™, and eMax™. All units are equipped with MaxSelect™ Capability, as well as ClearLight™ Technology, ensuring the highest throughput and the purest end-product ever achieved by optical sorters in the waste management industry.